No one likes Mondays. That’s a fact. Some Monday’s are better than others, but that doesn’t mean that you like them. Sometimes you can get through a Monday OK, others you have crawl out of bed and trudge your way through the day, getting past one disastrous situation after another. Here’s 5 struggles that NHS staff go through every Monday. Realising that the weekend has been and gone without being polite enough to stop and say hello. Everyone asks if you’ve had a good weekend and you end up repeating yourself a gazillion times. What’s more annoying, is when you feel obliged to return the question, only to be bombarded with every single detail from Friday evening right through to the moment they got into work. Coffee is your best friend, no more so than on a Monday. But sometimes, even your trusty old friend lets you down and you simply can’t get going, leaving you in a daydream/zombie-type state for most of the morning. You thought it was a good idea at the time to put your name down for an extra shift or two. Now, it seems like the worst decision you’ve made. Ever. What other struggles do you face on a Monday? A career in the NHS. There’s nothing else quite like it. Plenty of highs, even more lows. Unbelievably stressful, yet highly rewarding at the same time. Why do you love working in the NHS? What inspired you to follow a career in healthcare? The majority of you would probably say that you simply wanted to help people. The NHS has received a lot of negative press in recent times, so we thought we would try to change the mood and focus on what makes the NHS a great place to work. Here are five reasons why it’s awesome to work in the NHS. Let us know if you agree in the comments or if you have any more to add. Working in the NHS helps you to develop personally as well as professionally. You become a stronger person. You can deal with high pressure situations better. You know how to keep calm in a crisis. The things that you see and do every day at work makes you thicker skinned, and this can overlap into your personal life to make you a better person. The NHS provides excellent training and support for employees to develop unique skills. You learn things that you probably never thought you could do. You surprise yourself all the time and feel great when you master something that you know will help people. The best thing is – there’s always more to learn! New equipment, new procedures, you name it; there’s always something to keep you on your toes. One of the perks which always comes in handy! Health Service Discounts save you money on everything including travel, shopping, insurance and finance, plus much more. You can claim loads of fantastic NHS discounts online and in-stores, which helps you make the most of your money and save some valuable penny’s to treat your family with. The NHS offers one of the best pension schemes in the UK, helping you to secure a better future. 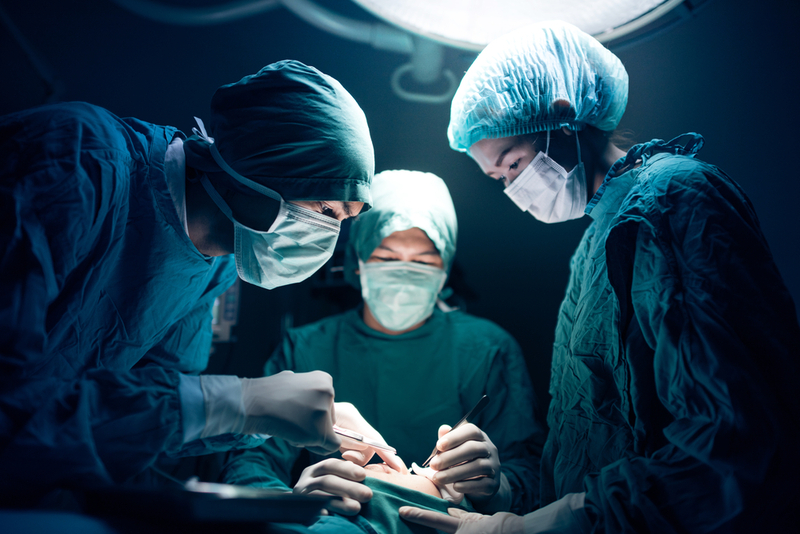 NHS workers are entitled to a pension as well as a tax free lump sum when they retire, leaving you to put your feet up after many years of fantastic service. What else do you love about working in the NHS? Let us know in the comments below. 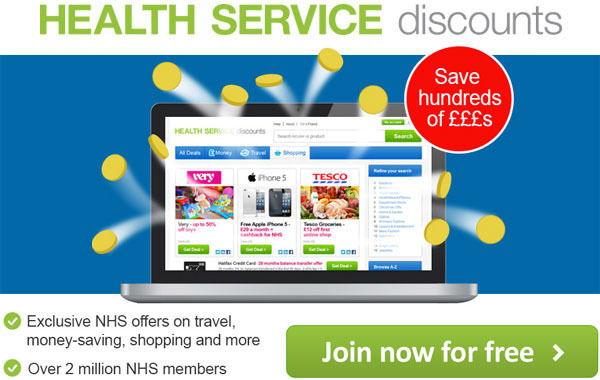 Have you registered for your NHS discounts? Register for free today! Do you have a great story to tell about the amazing work you do in the NHS? 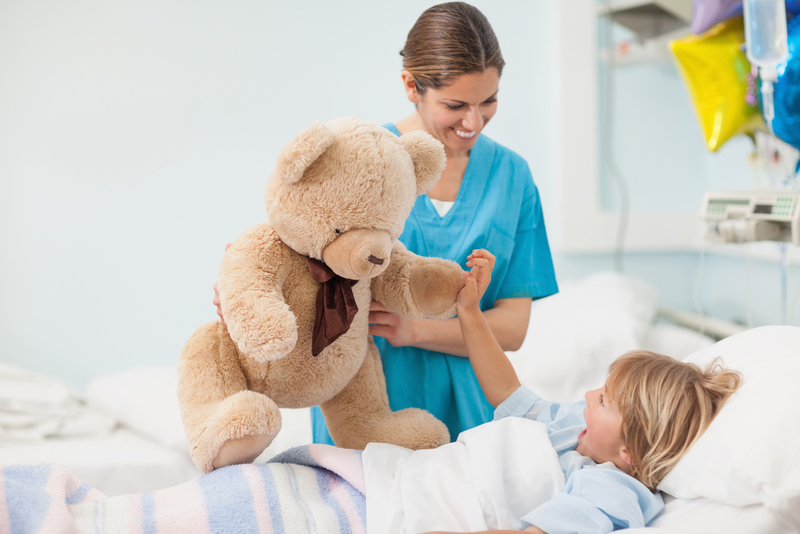 Have you had a special patient lately that made your job that extra bit special? Do you have any great advice to give to other NHS staff? If so, we’re looking for NHS staff stories for our blog and we would love you to share your experiences with us. We have a huge social media following that will give you a fantastic platform to tell your stories. Even if you don’t feel fully confident at writing, give it a go and we can work together to create the post. All you need to do is fill in the form below with your details, a title or subject for your post, and a description of your story. We’ll then drop you an email and take it from there. Are you going for a promotion or new job in the NHS? Are you worried about your interview? We’re not going to lie; interviews can be scary. Nobody likes them but it’s a stressful part of life that we all have to deal with. Those that shine in job interviews are the ones who prepare properly and go into the interview visualising success. So, don’t worry. Take a deep breath. Relax. Here are our top tips to help you shine in your NHS interview and get you the job that you deserve. Why do you think you should get the job….and don’t reply: ‘because you need more money’? There are probably a number of reasons why you’re going for a promotion, but one of them should be because you’ve got the skills to do the job well. Right? Good. Now, write all of your key skills down in a list. Once you’ve got them all down on paper, it will be easier for you to focus on your answers to really show what you can bring to the role. It’s very important to read through your job spec a few times so that you know exactly what is required for the role. Take this a step further and highlight key tasks and skills required within the job spec. Now you can start to match these up with your key skills. Think of examples of how you’ve demonstrated these skills in your current position and write them down. If you can, always relate your examples back to how it will provide value to the new role. If you can master this, then your interviewers will be itching to give you the job. You can’t be 100% sure what you’re going to be asked in your interview, but it’s very useful to think of potential questions so you aren’t caught off-guard. The more prepared you are the better and more polished your answers will be. Easier said than done, we know, but you need to keep calm so that you can focus on what you’re saying. Take a deep breath before you go into your interview. Ask for a glass of water in case you get a dry mouth. Sit in a comfortable position and don’t fidget. When you’re asked a question, just take a second to think about your response; don’t just blurt out an answer because you might go off track. Some of you may have a good working relationship with your manager and the HR staff who are interviewing you. It’s very important that you don’t let this influence how you prepare and perform in your interview. Don’t take it lightly because you think you will get the job based on your friendship with other staff members. Knuckle down and take it seriously, because they certainly will. Looking the part can really make a difference in your job interview. Even if you’re working on the day of your interview, don’t go to it in your uniform or scrubs. Take a change of clothes and get ready in the changing rooms beforehand. Smart trousers, smart blouse, shirt or jumper, flat shoes – these are a perfect combination for your interview. Nothing too boring or corporate, you just want to look smart and feel comfortable. It shows that you are taking this seriously, and that you want to be taken seriously. Your interviewers will be impressed, we guarantee it. If you approach your interview with positivity, visualise the perfect outcome, and show lots of enthusiasm, then this will reflect well on your interviewers. If you go into it thinking that you have no chance of getting the job, they will sense this and, chances are, it will affect your performance. Go in there fully prepared, answers all of the questions as well as you can, and walk out with your head held high. Have you had an interview in the NHS recently for a promotion or new job and have some tips you can share? Can you add anything different to the list? Are you a student going for your first position? Let us know in the comments. Have you registered for your NHS discounts? Sign up for free today! Night shifts in the NHS are like Marmite, you either love them or you hate them. They can be very tough both physically and mentally. Many people struggle to adapt their body clock to the demanding shift in sleeping patterns and can’t continue doing night shifts for long. Others enjoy the quieter wards, the smaller teams and the bonding with your colleagues that you don’t get the chance to do on a day shift. Either way, there are definitely a few pet hates that you all share about working night shifts. Whether it’s the kids, the window cleaner, Betty from next door, or a screeching motorbike outside; being woken up just after you’ve crawled into bed after a night shift can be soul destroying. When you’re exhausted, the last thing that you want is for the sun to start beaming through your curtains, keeping you awake. The night shift veterans among you won’t have this problem because you’ll have figured out a long time ago how invaluable blackout blinds are. Newbies, take note as it’s definitely worth investing in them if you want to get a good day’s sleep. Everyone who works a night shift will experience this at some point, if not every time. The readjustment day can make you feel like you’ve been hit by a truck. You’re awfully tired but trying to stay awake so that you can get back on track with you regular sleep pattern, leaving you in a dazed limbo between being awake and asleep. Check out these tips from NHS Staff about surviving a night shift. Hands up who sees red when someone says this to them?! Night shift work is certainly no easy ride. Things may be a little more relaxed on night shifts, however you’re certainly never short of jobs to do. What are your pet hates as a night shift worker in the NHS? Let us know in the comments or on our Facebook page. Have you registered for your NHS Discounts yet? Sign up today for FREE!